Adam Faith, the actor and pop star has died from a heart attack at the age of 62. Born Terry Nelhams in June 1940 on a council estate in Acton, west London, he was the third of five children. His big break came when his band, The Worried Men was playing in Soho where he was spotted by television producer Jack Good - director of the BBC pop show 6-5 Special. As well as a successful pop and acting career, he was also a financial journalist appearing on BBC 2's Working Lunch programme. He is survived by his wife Jackie and daughter Katya, aged 32. Thank you for your tributes to Adam Faith. Read a selection of your comments below. I am greatly saddened. I have grown up with his music - mainly because my mum has good taste. The world has lost yet another truly talented treasure. I have never said this before about anyone, but I feel as though a little piece of me has gone. I met Adam twice and on both occasions I found him a very nice man. I had known Adam for about 10 years (met him in Torquay after seeing Alfie) and was very sad to hear of his death. My friend just called me from the UK to tell me and I can't quite believe it. He touched so many people's lives and will be greatly missed. He was so down to earth and approachable. He was a great friend to me and I will miss him. My thoughts go out to his family. I met Adam Faith a few years ago, when he was filming at the Science Museum in London. He was one of the nicest people you could ever meet, and I have always remembered what a genuinely friendly and likeable man Adam was. Adam was my pop hero when I was a young teenager when many of my pals were Cliff fans. I remember seeing this guy on Drumbeat and Oh Boy who I thought was really good and different. Even my Mum and Dad got to like him, they had to! I bought all of Adam's singles and still have them and watched and listened avidly to all his TV and radio performances. Thank you, Adam, for all those happy times. We, your ageing fans, will never forget you. Our thoughts are with your family. In 1963, I started up hospital radio in Pembury Hospital, near Tonbridge. Adam was touring around various cinemas and ballrooms with a number of pop stars organised by Larry Parnes. I managed to get back stage in Tunbridge Wells at the Essoldo and Adam agreed, without hesitation, to be interviewed by me on a small tape recorder to be later relayed to hospital patients. He was charming and willing to talk, as long as I wanted for my little weekly programme. No airs and graces, just straight forward honest chat. Nowadays, pop stars, would not spare the time. What a sad day for us all. An early icon of the pop world has gone, a sad, sad loss. Thank you Adam. We are saddened at the passing of Adam and sympathise with Jackie and Katya on their sudden loss. RIP, Tel. When Adam Faith's 'pop' career took off, he came to the Bristol Hippodrome, he was probably around 19 years old. My two girlfriends and I saw him several times and one morning went to the theatre to leave a small gift for him. Within minutes, he came outside looking for us, to thank us for the present and for coming to see his shows. We all chatted for about twenty minutes, he was so charming and genuine. What sad news. I used to work for Terry and Jackie in the 70's, as private live-in groom, and teaching Katya to ride in the early days. Terry was a genuinely nice man with a great sense of humour. My thoughts are with Jackie and Katya at this time. I interviewed Adam Faith for my geography coursework in Westerham and I wasn't aware he was famous until my geography teacher informed me who he was. I never would have imagined that he was a celebrity, he seemed so down to earth and such a lovely guy I remember thinking. I was extremely sad to hear of the death of such a wonderful man and reading all the comments people have written just proves he was. My deepest sympathy and condolences go to his family and friends and may he rest in peace. A wonderful fundraiser for The Royal Brompton Hospital. RIP. I used to work for The Money Channel and met "Terry" quite a few times and he always came across as a decent and honest man. My thoughts are with his wife, daughter, family and friends. I'm Canadian and a big fan of British pop music in the 60's. I was very saddened to hear of Adam Faith's death today. Adam had moderate success here, as part of the "British Invasion". In the 80's, I was living in the UK, and worked as a night sister in the ICU when Adam had his heart op. He was such a kind and gentle man, genuinely interested in people. When I returned to Canada, I enjoyed seeing him in Love Hurts. I feel privileged to have met him, and to have been able to help him during a difficult time in his life. He was a great actor and I loved seeing him perform. I was very sad to hear of Adam's death this morning. I worked with him very briefly a few years ago on a TV show where I was the drummer in the house band and Adam was a guest. I have worked with many so-called Stars, but he was one. A gentle and kind man, with talent, but no trace of arrogance or conceit. Our thoughts are with his family who will miss him dearly. Adam will be greatly missed by many, his talents shone through in so varied a life. I met him several times in the 60's as I worked in his bank in Piccadilly Circus. He was always polite and made a few good friends at that time with the management. Thoughts and prayers are with Jackie and Katya and all family and friends. It was a privilege to have met him. In the early nineties I co-wrote some liner notes for an EMI double CD which managed to cram in over 70 of his songs - it was the complete overview of his singing career. I know he saw the notes but never found out if he liked them - but I hope he did. He will be greatly missed by many people, I'm sure. My condolences to his friends and family. So sorry to hear of Adam Faith's death at such a young age. We were so looking forward to seeing him in the play Love and Mariage at Eastbourne. He will be missed by many people. Condolences to his family. Tel, was a GREAT all rounder. He will be greatly missed in the fields of theatre and television. Our thoughts and prayers go to his wife and family. God Bless. Adam Faith was great in "Budgie" when I was a kid. I remember passing him in St Teresa's maternity hospital one Christmas in about 1971, where we were singing round the wards as a schoolboy choir. Every 60's greatest hits compilation includes Adam Faith - one of the first pop idols and a nice man. What a sad piece of news to wake up to on this side of the Atlantic. Adam Faith was the first pop star I ever saw live, with the Roulettes at the Congress Theatre, Eastbourne in, I guess, around 1962/63. I was impressed then, and despite seeing so many other great acts over the years - including a lot of revival gigs last year - Adam always remained a favourite of mine, I always had a soft spot for him and his singing. My heartfelt sympathy to his family and close friends. I was at the play Love and Marriage last night in Stoke on Trent. He was absolutely fantastic in it. I'm so sorry that he's gone forever, but honoured that I got to see him before he passed away. My wife Pamela and I have been ardent fans of Adam, and still play his music to this day, especially on our romantic nights out in the car to our favourite restaurant. His character and smile will be with us forever, and to us he will always be Budgie. We loved him and the news of his passing is so sad, but a reminder of the times that were so much better than the ones we now live in. God bless you Adam and keep you safe. Having been a fan since the very beginning of his career I felt that I would like to pay tribute to a wonderful person, singer and actor. I saw Adam in last night's production of Love and Marriage, and after the play spoke with him at the stage door where he had time for everyone who wanted to speak to him. During that conversation he came across as a really lovely person who had time and respect for his fans. He will be greatly missed, and my sympathy and prayers go out to his wife and daughter. Adam has been part of our lives for so long that it is like losing one of the family. Our sincere condolences to Jackie and Katya. Thanks to Adam and him playing Alfie, I got to go to LA for my 40th birthday. I'd never left the country before. Katya and Adam were very kind, making time for us. I'll miss him. Thoughts are with Jackie and Katya. I saw Adam live in Newcastle with the John Barry Seven in the early sixties. His role in the films 'Beat Girl' and 'Stardust' were virtual documentaries of the important pre-Beatles British rock'n'roll scene. His spirited fightback following the collapse of his TV channel in 2002 was typical of his positive attitude to life and an example to us all. My sincere condolences to his wife and daughter, family, friends and colleagues. We have truly lost a real character from our lives! Adam has been part of my life for as long as I can remember, and it was only recently that I saw him on a TV show, recreating one of his most famous songs. My sincere condolences to his wife Jackie and daughter Katya, and his countless friends and fellow showpeople around the world. We have truly lost a real character from our lives! Not only did we share the same first name (I was genuinely named after him! ), but he has been a constant inspiration throughout my life as an achiever and an example of how you can succeed against the odds. Sadly missed, love to his family. The first pop record I ever bought - Lonely Pup in a Christmas Shop - was by Adam. He survived hard times and came through everything. He managed to avoid the drugs that claimed so many of his contemporaries and survived looking as good as ever. I saw him at the theatre last night and spoke to him afterwards, very shocked to hear the news this morning. A very nice gentleman. Adam was a pop pioneer in this country and brought great enjoyment to many through his recordings. He stood with the greats - Cliff Richard, Elvis Presley, Billy Fury etc and I still enjoy playing his hits. He will no doubt be sadly missed but like all the great pop legends will live on through his inimitable songs and voice. My generation (44) will remember him for watching Budgie on Weds/Tuesday(?) nights) and then talking about it at school next day. Remember the way he used to answer the phone? Great bloke. I remember seeing him skateboarding in London only a few years ago. Adam was one of our greatest entertainers, and his career has touched several generations of fans. I had the pleasure of meeting him once after a theatre production, and found him to be a warm and genuine person. He will be sadly missed. Some of my earliest memories are of my Mum setting up her tiny record player on the kitchen table and playing Adam Faith, Buddy Holly and Everley Brothers' singles while she did her housework. She would pick me up and we would 'dance' together and my Mum would sing along. Wonderful memories. So sad to hear that Adam has just passed over. I can remember spending my pocket money on "What Do You Want If You Don't Want Money" and many more. Enjoyed his career in film and TV. He will be sorely missed and I offer his family my deepest sympathy. God bless for the enjoyment he all gave us. 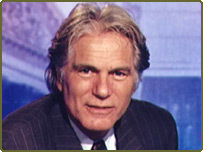 I was sad to hear the news about Adam Faith on TV this morning. I met Adam Faith when he was performing in a play at the New Theatre in Cardiff. We had a long and interesting conversation - he was friendly, humorous and genuinely interested in the things people said to him. He was a multi-talented person - most people only have one career, but he had many! And he will be greatly missed by his family, many friends and fans. A warm kind man with such versatility and personality, will be greatly missed. A brilliant and much loved actor. I was only watching him on TV last night. I will always remember him for Love Hurts. A sad loss to the music and entertainment industry. I have lasting memories of Adam in the series called 'Budgie' back in the early 70's. I was so sad to hear this news. Adam Faith was my heart-throb in the 60's, I had his pictures all over my bedroom wall. I also watched him perform "What Do You Want" recently on some TV programme about No. 1 artists and thought he looked and sounded great. RIP. Very sad news - enjoyed his acting and was impressed by his varied activities throughout his career. Thought it was impressive that he chose to purchase a quality antique when he first made money in his singing career instead of the usual flash car. Will be missed.